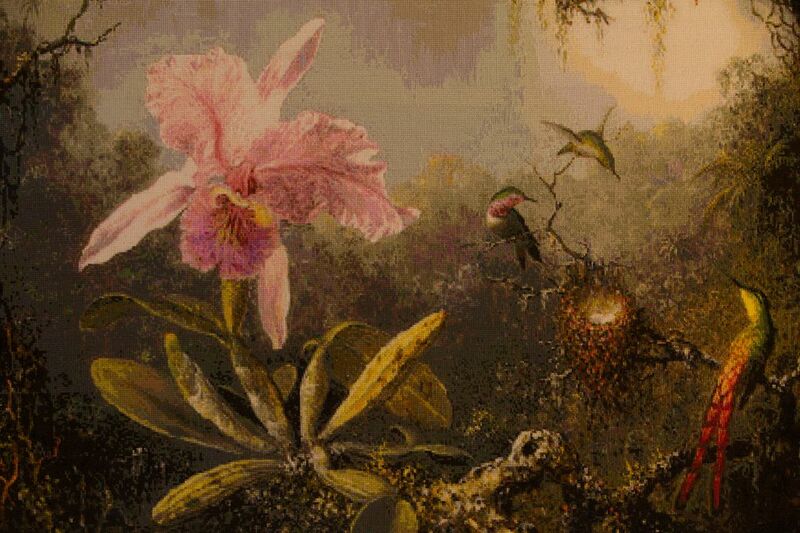 Artists and crafters, most of them women, have turned their hobbies and passions into profit. It’s rewarding, but it’s not easy money. 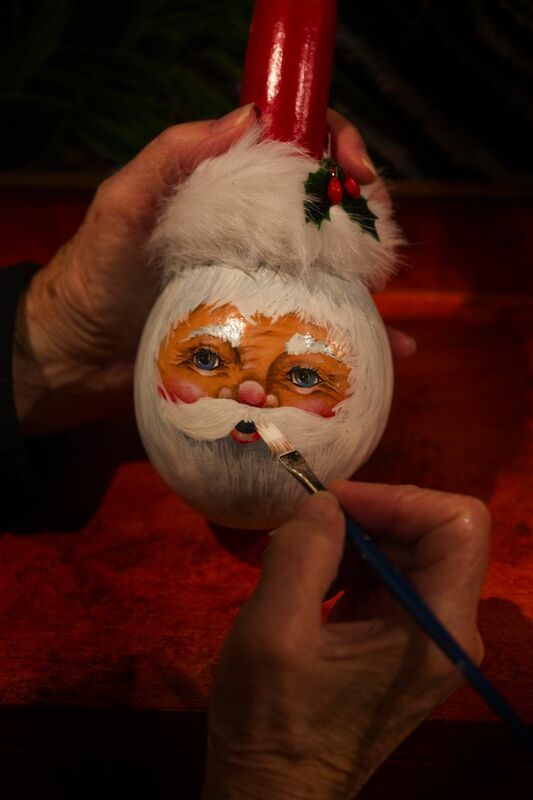 JUDITH LUCHINO’S paint brush flicks quickly across the sanded wood surface of what will soon become a Christmas ornament bearing the likeness of Santa Claus, one of scores of hand-painted decorations she plans to sell over the holidays. A few dabs, and Santa’s got cheeks. A few more delicately applied dots, and it’s snowing. Another tiny dab, and Santa’s got a gleam in his eye. Luchino leans back to clinically appraise her work through square reading glasses. Satisfied, she sets the ornament aside. 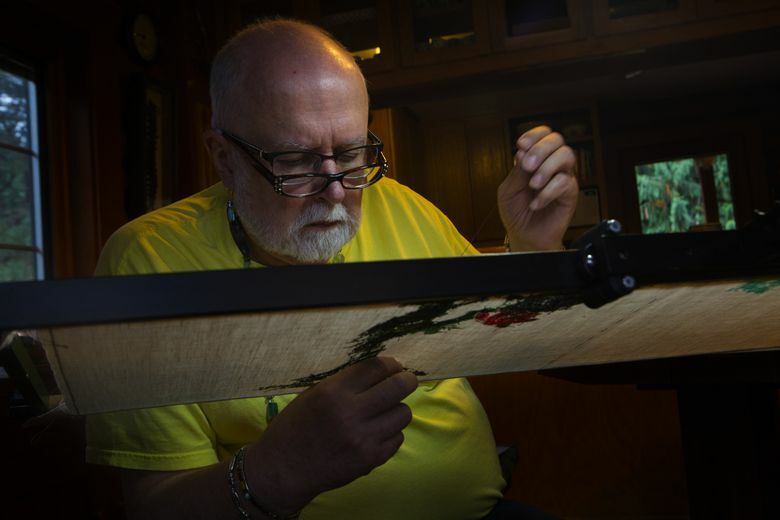 When it’s dry, it will travel with her to craft shows across Puget Sound until someone pays $15 to make it his or her own or a gift for someone else. “It’s an absolute passion of mine,’’ says Luchino, 73, who took up tole painting in 1975, when she owned a hair salon in Lakewood. The salon is now her studio, the place where she created four ornaments selected to decorate holiday trees at the White House. 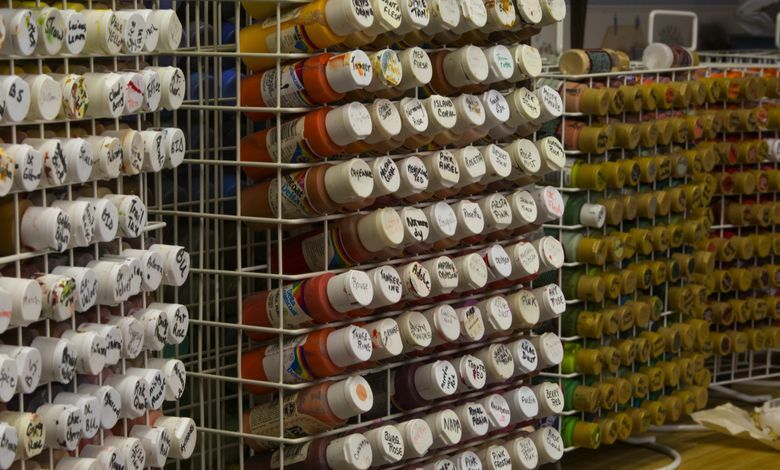 Even after 40 years, Luchino paints daily, usually from 8 a.m. to noon. 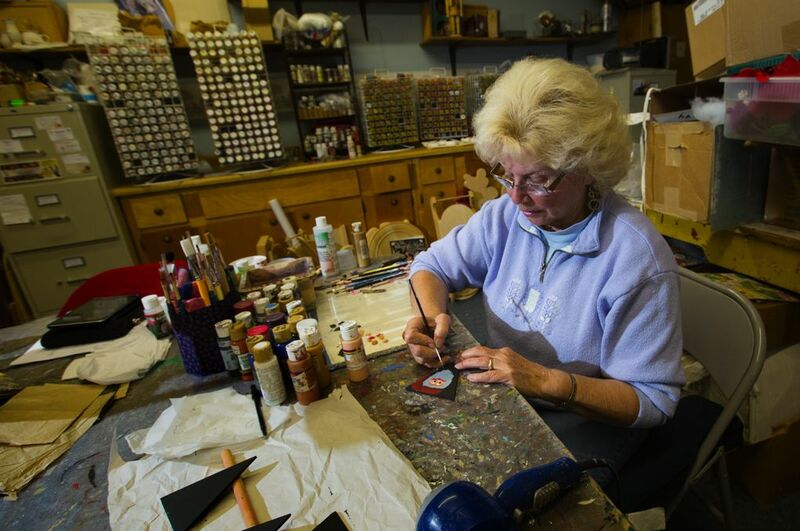 She paints at home, too, or when traveling with her husband in their RV. 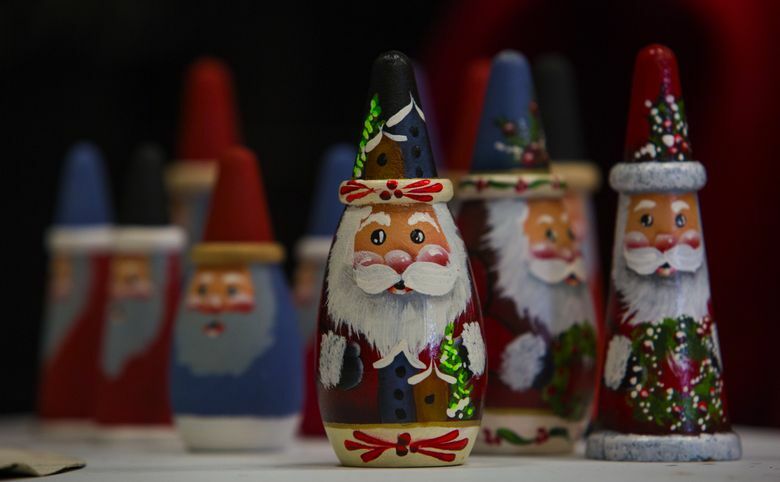 Selling her creations earns her enough to attend a national tole-painting convention every year, and to pay for the hundreds of paints that line her cozy studio, a one-woman workshop that has become a shrine to all things Christmas. Soon, Luchino will be packing up for a holiday fair at the Tacoma Dome, a four-day show that costs about $1,000 for a booth, plus another $10 a day for parking and $75 for Wi-Fi to process automatic credit-card purchases. There, she will compete for customers with about 600 others, many of them selling mass-produced goods at a fraction of the price. 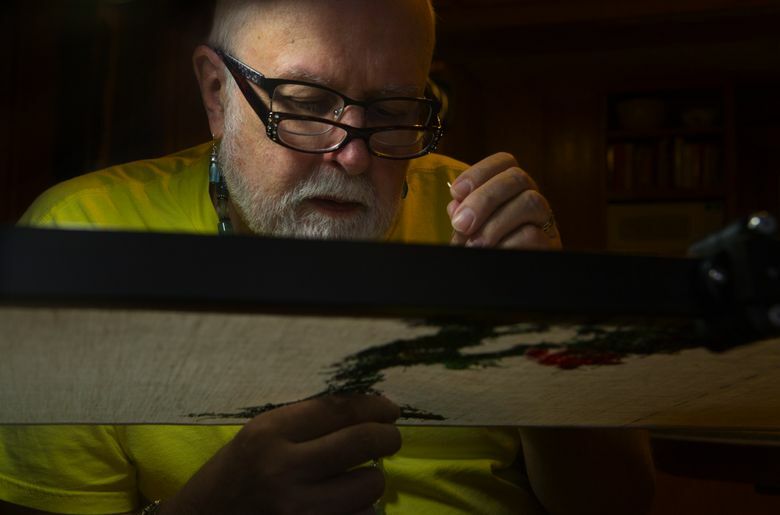 Her hand-painted, 14-piece Christmas garland — the one she bought as blank wood cutouts for $7.50 before sanding them, priming them, painting them with different images, sealing them with three coats of varnish and stringing them together — will sell for $39.99. Customers who understand the labor and love Luchino puts into her work return annually to buy more for their collections. Others? Her eyes narrow, recalling a customer who announced he would pay her $10 less than she was asking for her garland. She presses her lips together as she recounts the encounter. “I’ll tell you what you’re going to pay — $39.99, plus tax,’’ she told him. “This is not a garage sale. I’m not going to dicker with you.” He paid it. LUCHINO’S ANNUAL craft-fair and holiday-show circuit is an old-school approach to sales in a market that has become so transformed by technology that it’s taken on the trappings of industry: conferences, business development and sales webinars, consultants, even lawyers who specialize in the particulars of small “handmade” businesses. Ten years ago, Etsy brought the local craft fair into the e-commerce age when it created an online platform for artists and craftspeople to sell goods on the Internet, charging them 20 cents for each item listed and 3.5 percent of each sale. The company racks up $2 billion in annual sales. 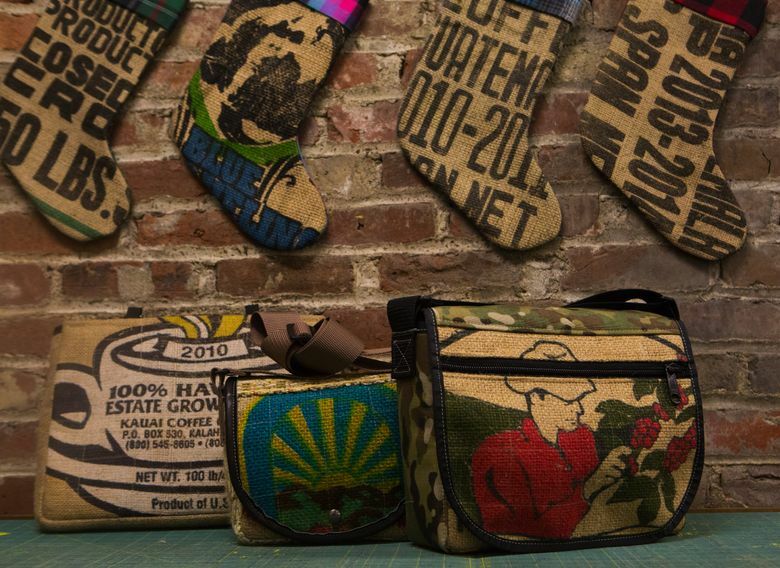 Amazon.com jumped into the market in October, launching Handmade at Amazon, a site within its site. 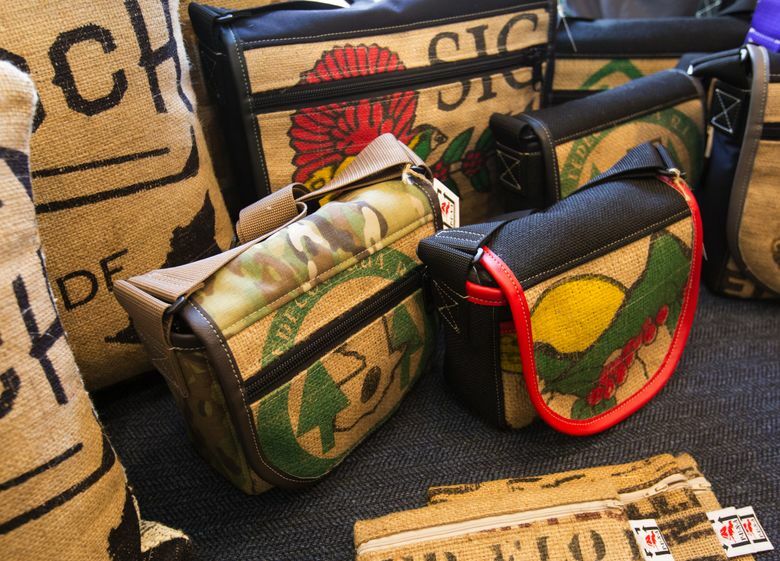 At launch, it listed handmade goods from 5,000 sellers in 60 countries. It charges nothing for listings but collects 12 percent of each sale. As a result, thousands of artists and crafters — most of them women — have turned hobbies and passions into small businesses or, in some cases, large ones. 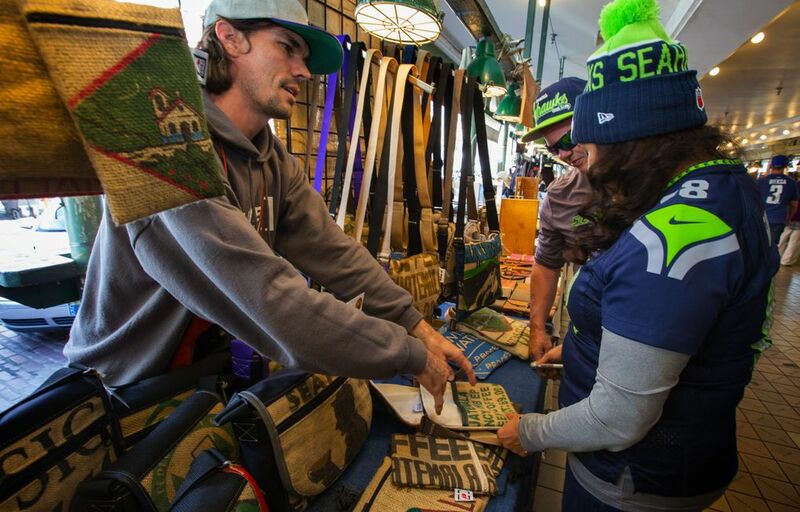 Miyashiro says the community of “makers” selling their goods in Seattle easily exceeds 1,000. Some do it for fun, others out of necessity. Many keep a foot in three worlds, selling online, in person at craft fairs and festivals, and through wholesale. “People want to branch out,’’ says Cathy Pascual, a 42-year-old Bellevue mother of two who is hoping to turn her needle arts into a small business called Catshy Crafts. Already, 1,400 people follow her work on Instagram. 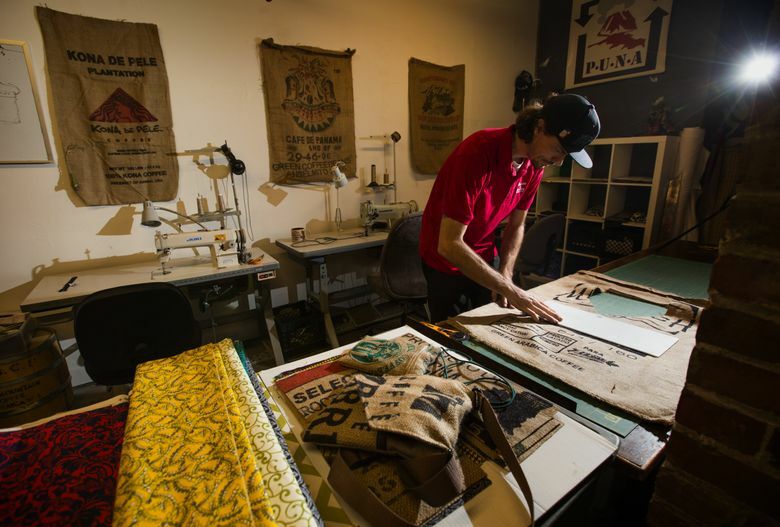 EVEN SOME ARTISTS who started in manufacturing have jumped into the craft market. 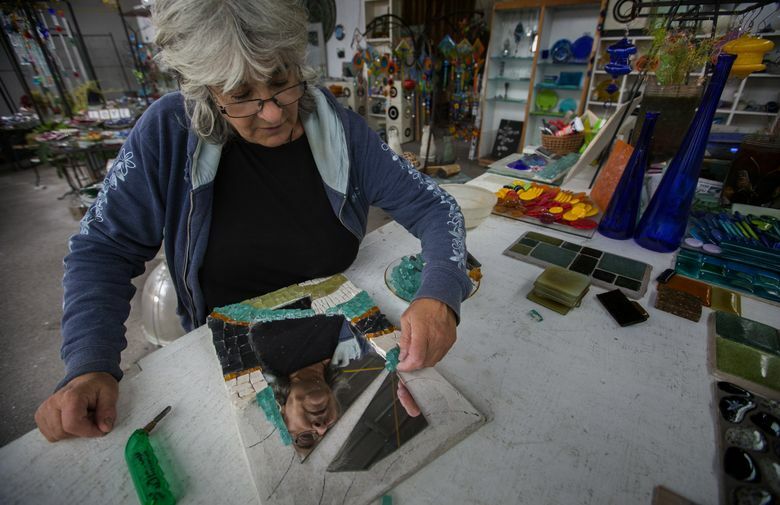 Bedrock Industries of Seattle, which produces glass tiles and other products from recycled glass, managed to survive the Great Recession in part by making art to sell along with tiles and other mosaic materials for other artists and crafters, says Bedrock owner and artist/crafter Maria Ruano. Ruano says selling at farmers markets and craft fairs is a physically tough and time-intensive business. But she says she prefers it, having given up online sales after too many people started stealing her ideas. 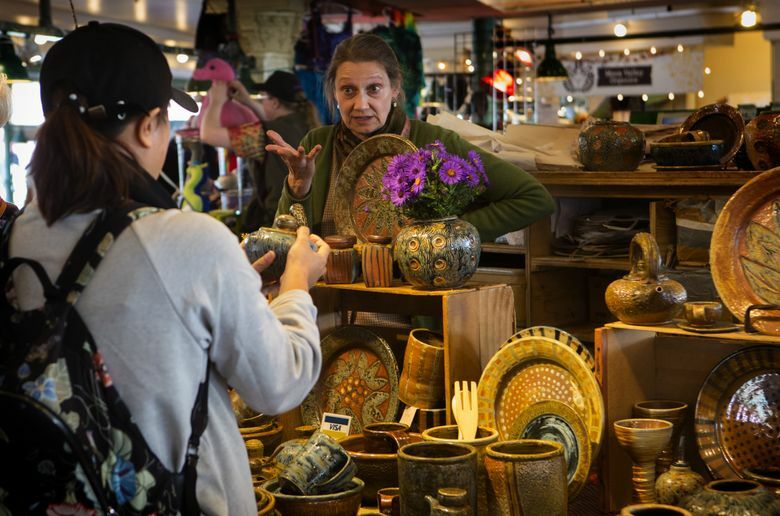 Others say the farmers markets and fairs are a key part of their online businesses because they help connect artists with a growing number of customers who not only appreciate, but seek out, handmade goods. 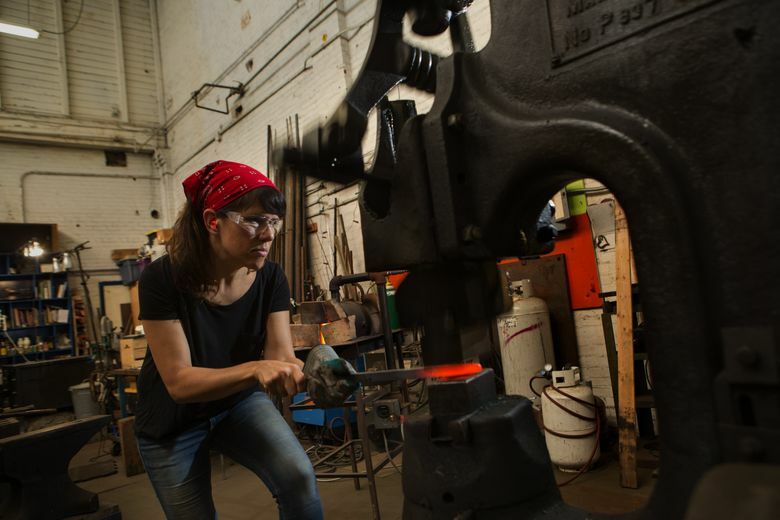 Miyashiro says there is more demand than ever for slots at high-profile, juried shows, such as Urban Craft Uprising, that attract customers willing to pay more for an item made by another human being whose name they know and whose hand they can shake. “The problem now is that there are so many makers who are applying for the shows and so few slots, it’s been harder for people to find a slot for their holiday sales, the most important time of year for most makers,” says Miyashiro, who runs IMakeCuteStuff, and mentors and consults with other crafters looking to start or grow their businesses. She and two other women opened The Handmade Showroom, a “pop-up” shop at Pacific Place Mall that sells handmade goods from 60 regional makers. The mall approached the women about the shop, hoping to reach customers who value unique handmade goods by local craftspeople. Pike Place Market — which Miyashiro describes as “the longest-running craft show in Washington” — is also adding to its stable of craftspeople: 47 new slots are being reserved for makers of handmade goods when its waterfront expansion is complete. 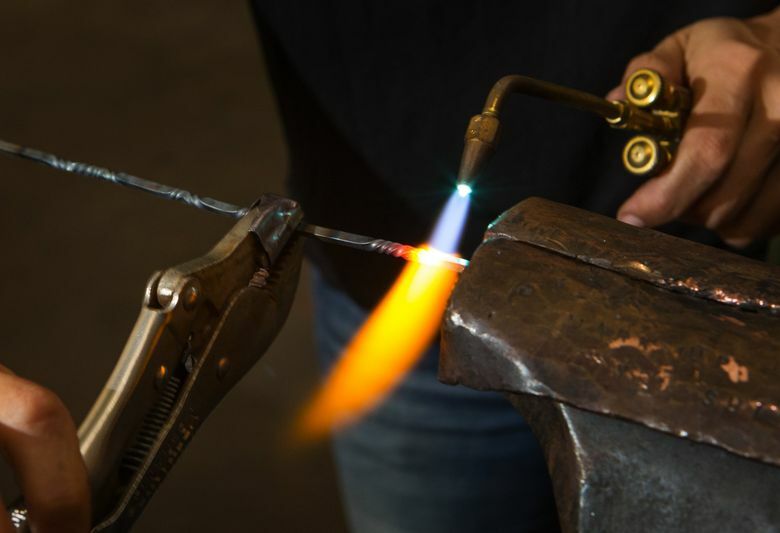 Although technology has made it easier to reach customers, it also has forced the artists and craftspeople who use it to spend as much or more time selling as they do making, leading some to burnout. Maybe that’s why Etsy reported that only 32.3 percent of sellers who sold an item through the service in 2010 were still selling on the site three years later. Those considered “power sellers” were pulling in an average of about $13,000 a year from sales there. Yet a surprising number says it’s worth it. ASHLEY ESPINAL was fresh out of college when she landed a job in the corporate world. Disillusionment set in quickly. 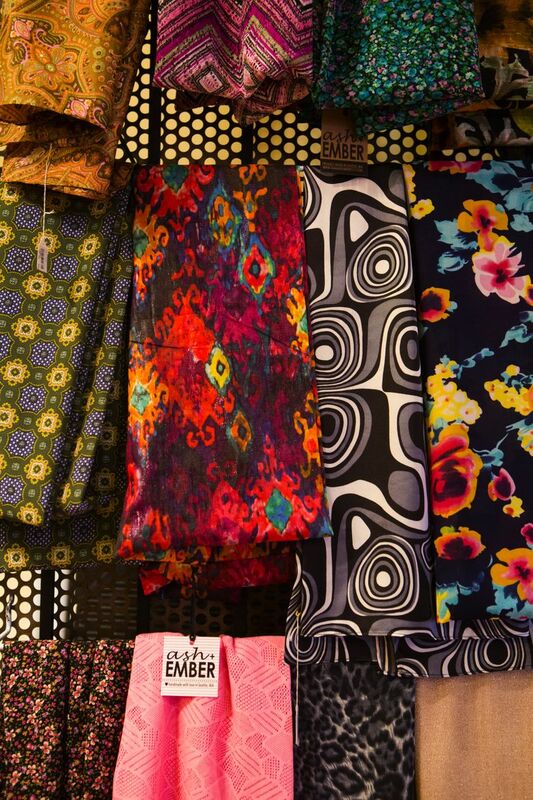 She thought about businesses she could start by using her own money and, two years ago, decided to start Ash+Ember, a company built around her “obsession” with scarves and her longtime love of sewing. She took an eight-week business class at Ventures, a Seattle-based not-for-profit that provides training and loans to entrepreneurs with limited income. 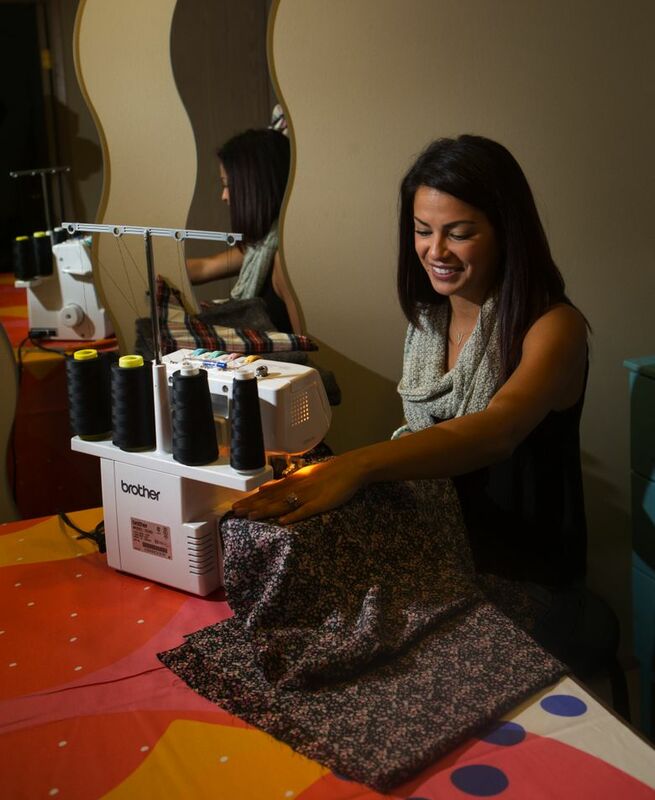 Then she began sewing infinity scarves like a mad woman, first at a studio, and then more recently at her dining-room table in the one-bedroom apartment she shares with her husband in South Lake Union. Espinal worked part-time for several months while launching her company, and then hit her stride in fall 2014, the peak gift-buying season. “Winter was super-busy, and then January 1st came, and it was like, ‘Whoa!’ I had a shock because the retail industry and e-commerce industry really comes to a screeching halt after the holidays. And that wasn’t something I had really prepared for,’’ she says. She took another full-time job but quit in the spring to give Ash+Ember another go. This year, she added a line of tote bags she handprints with pithy sayings. They’ve been good sellers, especially during the scorching summer, when no one was interested in scarves, she says. Still, she says, if she’s going to work as hard as she does, it might as well be for herself. IT’S EARLY ON a weekday, but the corridor lined with crafters in the north end of Pike Place Market is already crowded enough that you run a constant risk of bumping into the person in front of you. People float by, stopping occasionally to examine and buy the handmade goods that have been a staple at the Market since the 1970s. Artists and crafters helped save the market when food vendors began gravitating to supermarkets, leaving empty stalls. Now, they’re an essential part of the Market’s vitality, says David Dickinson, who oversees its vendor operations and arts programs. Some of the craftspeople have sent kids to college. Others scrape by. Some have been there decades, others mere months. Top rent at the stalls is $36 a day for peak time, and vendors approved to sell there must personally commit to selling their wares. 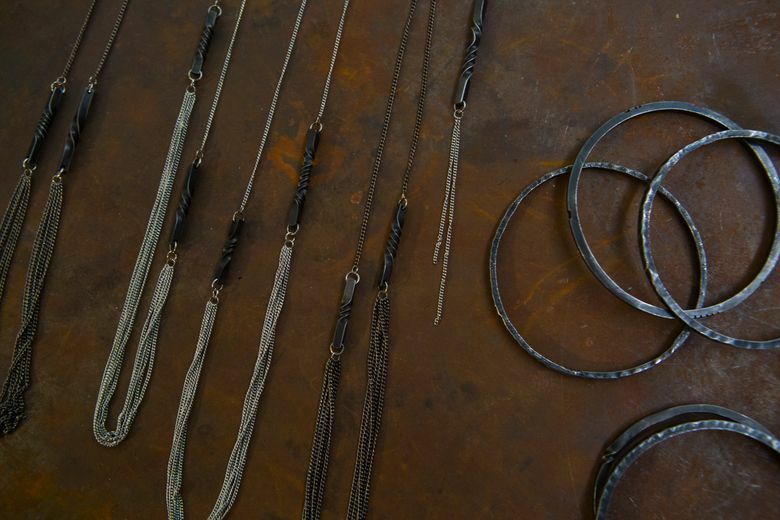 Today, Erica Gordon, a blacksmith who runs Steel Toe Studios in Seattle’s Georgetown neighborhood, is settling in after setting up an engaging display of necklaces and belt buckles that have been hand-cast or forged in her studio. 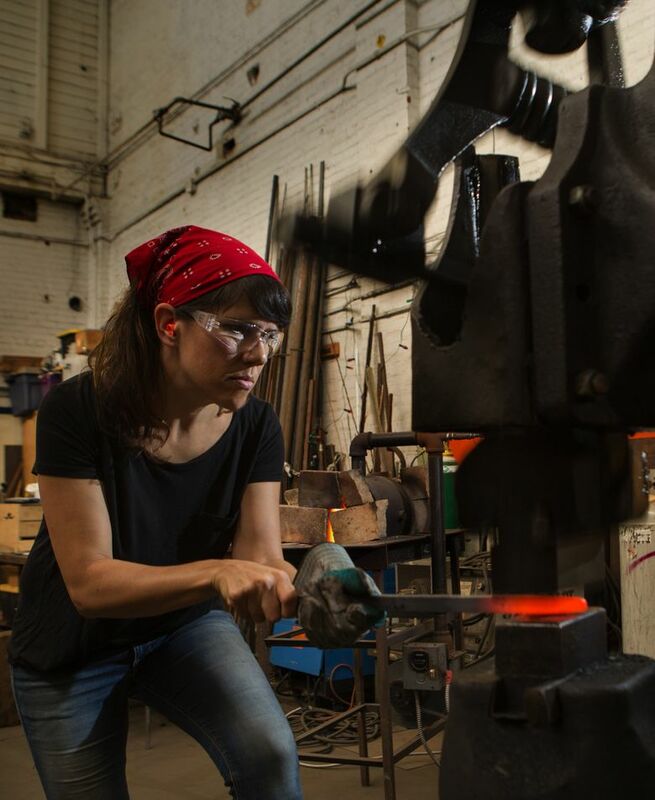 Gordon draws on traditional blacksmithing techniques to create her wares, many of which are from recycled or repurposed steel. She also designs pieces for casting, and makes the leather straps for her belts she sells at the Market, online and in retail shops. 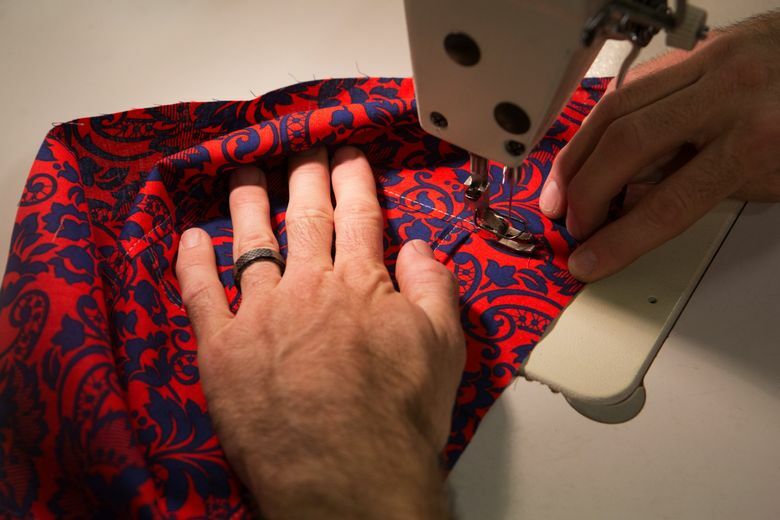 When Gordon started 12 years ago, there seemed to be a shared knowledge in the community that the price of handmade goods reflected the time and skill required to create them. In some cases, those skills are honed over decades and, like Gordon’s craft, require years of apprenticeship and trial and error. The infusion of younger residents — many of them raised in an era when things were bought, not made — has changed the nature of the conversation with customers, she says. Still, Emily Crawford, Pike Place’s marketing director, says it doesn’t take much for people to recognize that the handmade items they’re seeing are unique and connected to a human being. She lifts a ceramic mug from her desk. It’s glazed in pearly rose, and etched with a sweet drawing of an otter. 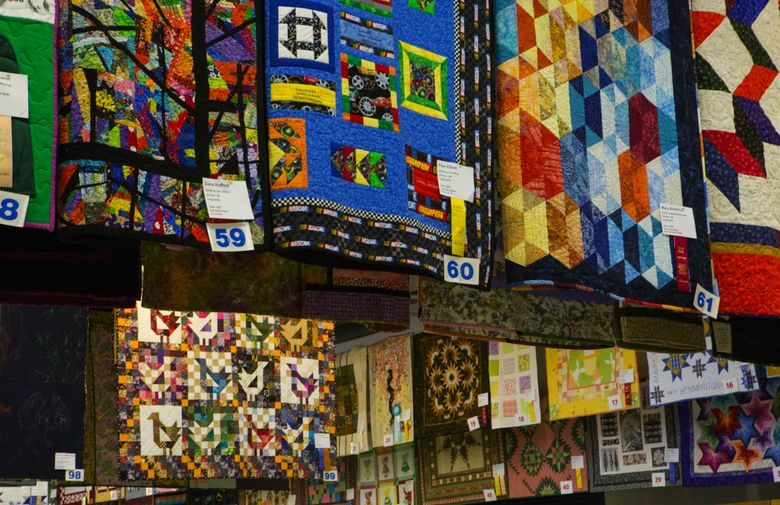 Later, as I wander through the stalls, I linger longer than usual at the booths, appreciating the skill, the originality and the guts it takes to put something you’ve made on display and ask others to recognize its value. I wonder who will still be here next year. And when I see something beautiful that I might want to buy later as a gift, I pick up a business card. Chances are, I’ll be able to find them online. Susan Kelleher is a Pacific NW magazine staff writer. Reach her at skelleher@seattletimes.com or 206-464-2508. On Twitter @susankelleher. Ellen M. Banner is a Seattle Times staff photographer.